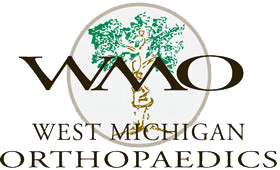 West Michigan Orthopaedics is overseen by Dr. Karl Roberts, Dr. Patrick Zietz and Dr. Carl Wierks. You will meet with one of these highly-trained, compassionate physicians. They will spend time explaining your condition and treatment options, making sure you feel empowered with information. Dr. Roberts is an expert in total hip and knee replacement, including complex revision cases. 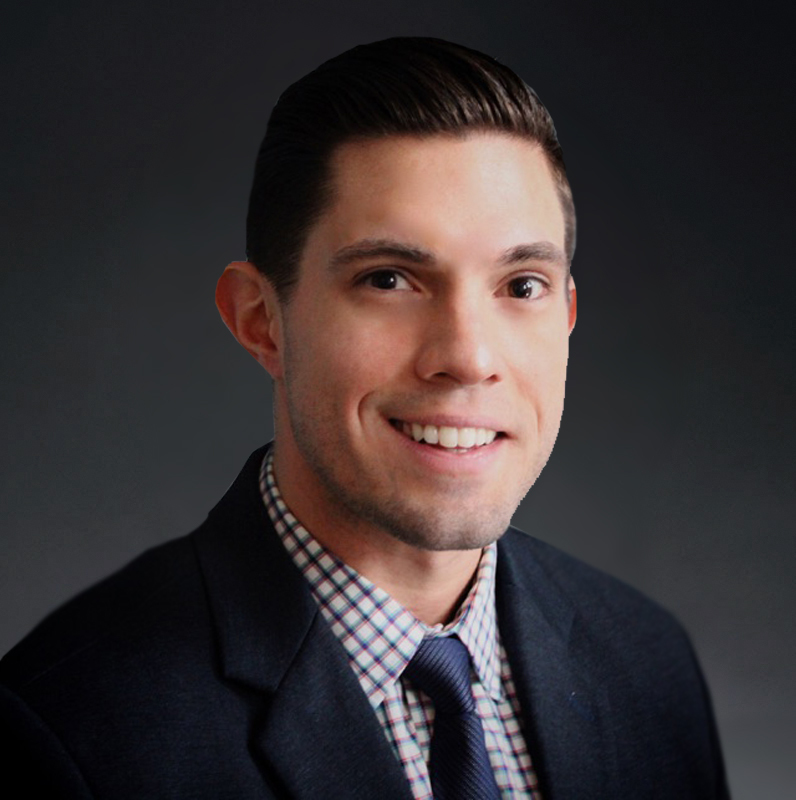 He is the current program director at the Spectrum Health/Michigan State University Orthopedic Surgery Residency Program and has had his work published in numerous medical journals, including the Journal of Bone and Joint Surgery. Dr. Roberts is married with three children. He enjoys spending time with family, bluegrass music and Indiana University Basketball (Go Hoosiers!). Dr. Roberts maintains hours at our Grand Rapids office and Lakeview offices. Direct Anterior Approach Does Not Reduce Dislocation Risk: An Analysis of the MARCQI Statewide Joint Registry. Maratt J, Gagnier J, Butler P, Hallstrom B, Urquhart A, Roberts K. Publication pending. Accepted for presentation AAHKS 2015, AAOS 2016. Accepted pending publication Journal of Arthoplasty. The Michigan experience with safety and effectiveness of tranexamic acid use in hip and knee arthroplasty. Hallstrom B, Hughes R, Singal B, Cowen M, Roberts K. Accepted pending publication Journal of Bone and Joint Surgery. American Academy of Orthopaedic Surgeons. Appropriate Use Criteria for Postoperative Rehabilitation of Low Energy Hip Fractures in the Elderly. http://www.aaos.org/hipfracturesrehabauc.aspx. Published December 4, 2015. American Academy of Orthopaedic Surgeons. Appropriate Use Criteria for the Treatment of Hip Fractures in the Elderly. http://www.aaos.org/hipfracturestreatmentauc.aspx. Published December 4, 2015. The American Academy of Orthopaedic Surgeons Evidence-Based Guideline on Management of Hip Fractures in the Elderly. Brox, W. T., Roberts, K. C., Taksali, S., Wright, D. G., Wixted, J. J., Tubb, C. C., et al. (2015) J Bone Joint Surg Am, 97 (14): 1196 -1199. 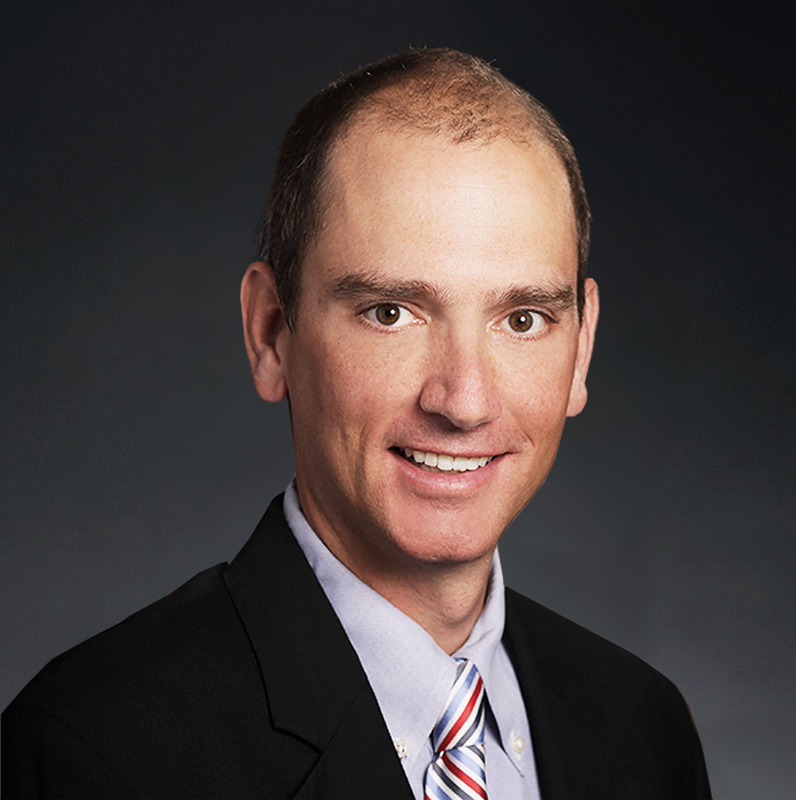 Dr. Wierks is a leader in the field of hip arthroscopy and direct anterior hip replacements. His expertise in this area makes him a nationally sought consultant and educator. Dr. Wierks completed his medical training at Loyola-Stritch School of Medicine and his residency at the Johns Hopkins Hospital. He also completed a renowned sports fellowship at The Steadman Clinic in Vail, Colorado. 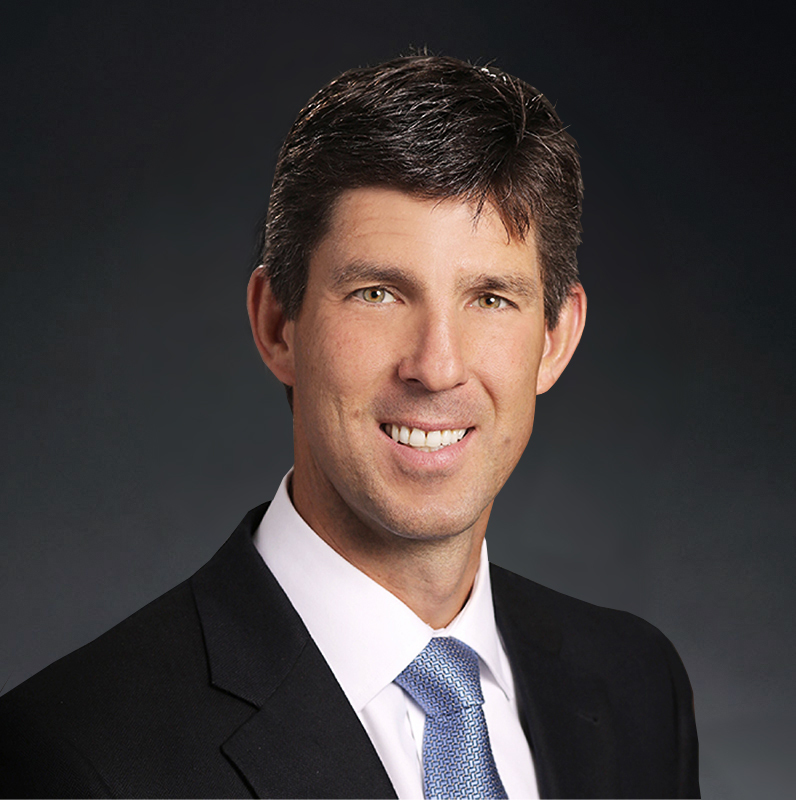 Dr. Wierks is currently a Fellow of the American Board of Orthopaedic Surgery and a team physician to the U.S. Ski and Snowboard team. He is also an avid snowboarder himself. Update in Adolescent Orthopaedics: Discussion of Common Hip Conditions, Nowicki PD, Wierks C, Maskill L. Adolesc Med 2013 (24) 185-205. Biomechanical evaluation of open suture anchor fixation versus interference screw for biceps tenodesis, Papp DF, Skelley NW, Sutter EG, Ji JH, Wierks CH, Belkoff SM, McFarland EG. Orthopedics 2011 Jul 7;34(7). Comparative systematic review of the open dislocation, mini-open, and arthroscopic surgeries for femoroacetabular impingement, Matsuda DK, Carlisle JC, Arthurs SC, Wierks CH, Philippon MJ. Arthroscopy. 2011 Feb;27(2):252-69. Reverse total shoulder replacement: intraoperative and early postoperative complications, Wierks C, Skolasky RL, Ji JH, McFarland EG, Clin Orthop Relat Res 2009;467(1):225-34. What’s your diagnosis? Osteoid Osteoma, Wierks C, Lomasney LM, Demos TC, McCarthy RM. Orthopedics 2004;27:1124, 1205-1208. Microcirculatory changes parallel the clinical deterioration of chronic venous insufficiency, Labropoulos N, Wierks C, Oh D, et al. Phlebology 2004;19(2):81-86. Noninvasive Carotid Imaging, Wierks CH, Labropoulos N. Perspectives in Vascular Surgery and Endovascular Therapy. 2004;16(2):89-99. Synthesis and Unusual Stability of Pyridine and N-Methyl Pyridinium 1,3-Dioxolanes, Hobson ST, Boecker JD, Gifford JH, Nohe TL, Wierks CH. J. Heterocyclic Chem. 2003;40:277-282. Intermittent pneumatic compression for the treatment of lower extremity arterial disease: a systematic review, Labropoulos N, Wierks C, Suffoletto B. Vasc Med. 2002 May;7(2):141-148. Wierks C, Hobbs B: Meniscus tear. In Frassica FJ, Sponseller PD, Wilckens JH (eds): 5-Minute Orthopaedic Consult, Ed 2, pp 252-253. Philadelphia, Lippincott Williams & Wilkins, 2007. Wierks C, Cameron M: Quadriceps tendon rupture. In Frassica FJ, Sponseller PD, Wilckens JH (eds): 5-Minute Orthopaedic Consult, Ed 2, pp 350-351. Philadelphia, Lippincott Williams & Wilkins, 2007. Wierks C, Hobbs B: Popliteal cyst in the adult. In Frassica FJ, Sponseller PD, Wilckens JH (eds): 5-Minute Orthopaedic Consult, Ed 2, pp 334-335. Philadelphia, Lippincott Williams & Wilkins, 2007. Wierks C, Hostin E: Subtrochanteric fracture. In Frassica FJ, Sponseller PD, Wilckens JH (eds): 5-Minute Orthopaedic Consult, Ed 2, pp 428-429. Philadelphia, Lippincott Williams & Wilkins, 2007. Wierks C, Solacoff D: Knee supracondylar fracture. In Frassica FJ, Sponseller PD, Wilckens JH (eds): 5-Minute Orthopaedic Consult, Ed 2, pp 222-223. Philadelphia, Lippincott Williams & Wilkins, 2007. Jeng CL, Wierks C: Metatarsal fracture. In Frassica FJ, Sponseller PD, Wilckens JH (eds): 5-Minute Orthopaedic Consult, Ed 2, pp 258-259. Philadelphia, Lippincott Williams & Wilkins, 2007. Wierks C, Wilckens JH: Surgical interventions in hip and pelvis injuries. In Seidenberg PH, Bowen JD (eds): The Hip and Pelvis in Sports Medicine and Primary Care, pp 317-335. New York: Springer, 2010. Wierks C., Cosgarea, A. Arthroscopic Lateral Retinacular Release in: Operative Techniques in Orthopaedic Surgery. Philadelphia: Lippincott Williams & Wilkins. Ed Wiese S. Section Editor Mark Miller, M. In Press, 2009. Wierks C, et al. The Knee and Hip Sport Tests. Poster presentation, Michigan Orthopaedic Society. 6/2012. Co-Instructor for Arthrex hip arthroscopy course. April 9th, 2011 Milwaukee, WI. May 3rd, 2011 Naples, FL. Wierks C. Hip Injuries in the Athlete. Hope College Distinguished Lecture Series in Sports Medicine. 4/11/11. Carlisle JC, Wierks C, Souza B, Briggs K, Philippon MJ.Radiologic Predictors of THR following Hip Arthroscopy for Femoroacetabular Impingement. Presented at AAOS, San Diego, 2011. Wierks C, Millet P. Pectoralis Major tendon repair. Surgical technique using suture anchor fixation. A video demonstration showcased at AAOS, San Diego, CA, 2/2011. Papp DF, Skelley NW, Wierks CH, Ji JH, Belkoff S, McFarland EG. Biomechanical evaluation of open suture anchor fixation versus interference screw for biceps tenodesis. Presented at the American Academy of Orthopaedic Surgeons, New Orleans, LA, 2010. Wierks C, McFarland E. “Intraoperative and early postoperative complications of reverse total shoulder replacement: experience of one surgeon.” Clinical Orthopaedic Society annual meeting in Annapolis, MD, Sept 27, 2008. Wierks C, McFarland E. “Intraoperative and early postoperative complications of reverse total shoulder replacement: experience of one surgeon.” American Shoulder and Elbow Society open meeting in San Francisco, CA, March 8, 2008. Wierks C, McFarland. “Intraoperative and early postoperative complications of reverse total shoulder replacement.” Maryland Orthopaedic Association 2007 Annual Business and Research Meeting, Baltimore, MD. April, 2007. Wierks C, Labropoulos N. “Planimetric evaluation of carotid artery stenosis.” Loyola-Stritch School of Medicine Grand Rounds Research Meeting, Maywood, IL. October, 2002. Zambia, Africa 7/1998 (3 weeks) I observed surgeries and assisted hospital workers in a 100-bed hospital in a rural area. Cuenca, Ecuador 7/2001 (2 weeks) I assisted in surgeries and clinics in a hospital for the poor. Manta, Ecuador 10/2006. I worked with an orthopedic surgeon from Ecuador in a city where specialized orthopedic care was not available. We held a free clinic and performed surgeries. 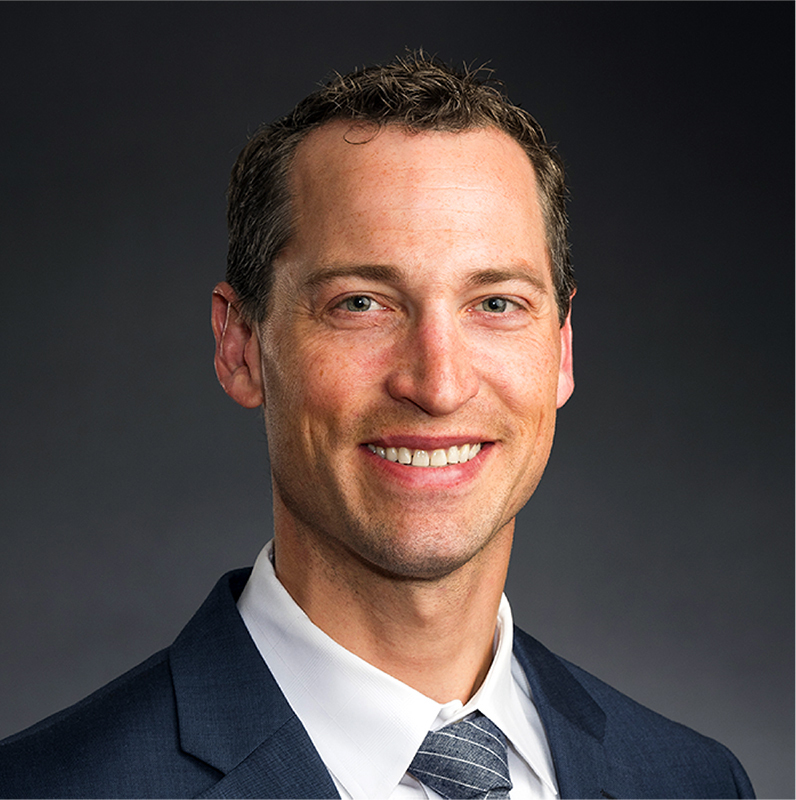 Dr. Zietz is a sports medicine specialist with expertise in the knee and shoulder, including rotator cuff and reverse total shoulder replacement operations. He is also experienced in handling worker’s compensation cases. Dr. Zietz serves as the medical director for the Orthopedic Residency Clinic and is dedicated to educating others. During his sports medicine fellowship, Dr. Zietz took care of the NBA’s Miami Heat. Dr. Zietz keeps office hours at our Grand Rapids and Lakeview offices. Patellofemoral Arthroplasty: A Multi-Centre Study with Minimum Two-Year Follow-Up. Wayne B. Leadbetter, Patrick M. Zietz, Richard Levitt. Presented: American Academy of Orthopaedic Surgeons, San Diego, CA, February 2007. Published International Orthopaedics, December 2008. Grand Rapids Orthopaedic Surgery Grand Rounds. “Double Row Rotator Cuff Repair.” September 2017. Grand Rapids Orthopaedic Surgery Grand Rounds. “Update on Double vs. Single Row RotatorCuff Repair.” September 2017. Kent County Medical Society. “Common Knee Injuries: Evaluation and Management.” January 2014. Spectrum Health Orthopaedic Nurses. “Orthopaedic Sports Injuries.” October 2013. Center for Physical Rehab Physical Therapists. “ACL, MPFL and Labrum.” November 2013. Grand Rapids Orthopaedic Surgery Grand Rounds. “Revision Anterior Cruciate Ligament Reconstruction.” May 2013. Spectrum Health Live Online Chat. “Keep Your Knees Strong, Safe and Stable.” April 2013. Grand Rapids Orthopaedic Surgery Grand Rounds. “Evaluation and Management of Concussion.” July 2011. Grand Rapids Orthopaedic Surgery Grand Rounds. “Patellofemoral Pain Syndrome In The Female Athlete.” May 2009. Spectrum Health Orthopaedic Community Seminar, “Knee Injuries in Active Adults.” March 2009. Spectrum Health Healthier Communities Seminar, “Knee Pain: Understanding Your Treatment Options.” March 2009. Blodgett Hospital Internal Medicine Grand Rounds. “Knee Injuries: Diagnosis and Management.” September 2007. Doctors Hospital Sports Medicine Conference. “Intra-operative ACL Complications.” May 2007. Doctors Hospital Sports Medicine Conference. “Patellar Tendinopathy.” October 2006. University of Miami Athletic Department. “Risks of Performance Enhancing Drugs.” October 2006. Grand Rapids Orthopaedic Surgery Grand Rounds. “Intra-operative ACL Complications.” May 2006. Grand Rapids Orthopaedic Surgery Grand Rounds. “Revision ACL Reconstruction.” October 2005. Grand Rapids Orthopaedic Surgery Grand Rounds. “Ankle Arthroscopy.” April 2005. Grand Rapids Orthopaedic Surgery Grand Rounds. “The Post-Traumatic Stiff Elbow.” March 2005. Grand Rapids Orthopaedic Surgery Grand Rounds. “Stiffness After Total Knee Arthroplasty.” September 2004. Grand Rapids Orthopaedic Surgery Grand Rounds. “Lower Extremity Amputations.” January 2004. Grand Rapids Orthopaedic Surgery Grand Rounds. “Metatarsus Adductus.” September 2003. Grand Rapids Orthopaedic Surgery Grand Rounds. “Osteochondrodysplasias.” July 2003. Mr. VanDokkumburg has managed a wide variety of orthopedic and sport-related conditions in pediatric through elderly populations. He is also proficient in joint and trigger point injections, ultrasonography use and imaging interpretation. He also has experience in the operating room for different open and arthroscopic procedures. Member of medical staff at a 4 day, 3 night camp for teens and adults with cognitive and developmental impairments.